Ah, patches. Love the trend, but like many things, I am super picky about how they are placed. Patches are like tattoos for clothes. Where to put them is as individual as the wearer. Little embroidered details can make or break a garment, so here are a few tips to help you along. I’d hate for you to massacre a perfectly good jacket or pair of pants. I did mostly jackets here for a reason. 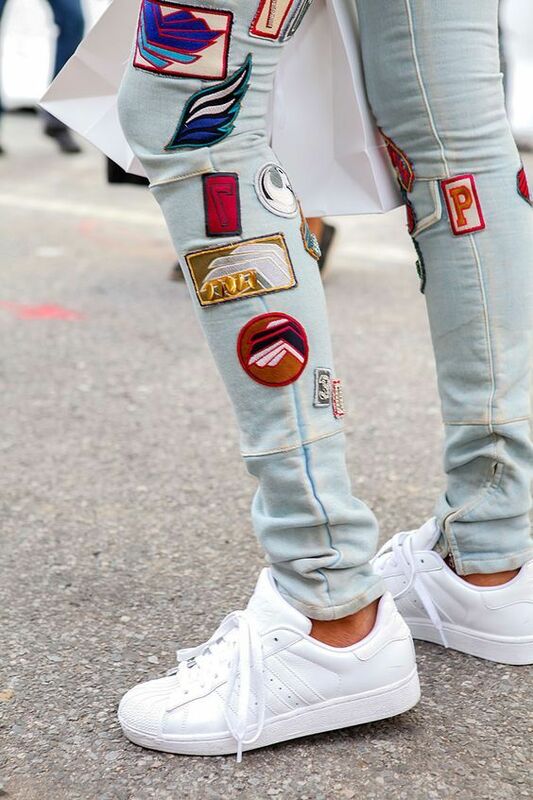 Patches are not my favorite on jeans and I like them barely on front pockets of shorts. You do what you like though, the image of the jeans above and below finally sold me on that look. Down the side of the leg only. Legs looks weird with splotches of embroidery on the front and they also ruin a perfectly good bum. I feel the same way about tattoos however. There are plenty of girls who can rock that look, so I’m not firm in my opinion. Just be sure to look at a few ideas before you get out your needle and thread! If your jacket already has interesting details, like items in our deconstructed denim article, go lean. 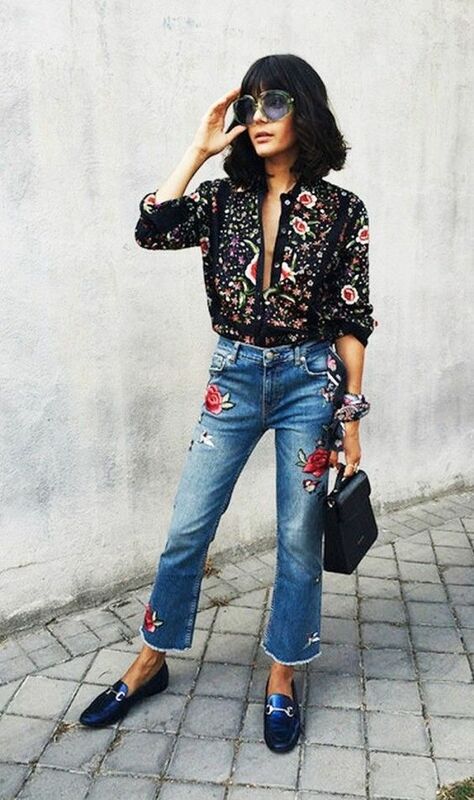 Adding a few little patches gives distressed denim a little character without upstaging the details. You want to keep the color differences exposed and let any embroidery take center stage. Add a patch or two just to personalize the item a little more. Think ankle or wrist tattoos and go small. 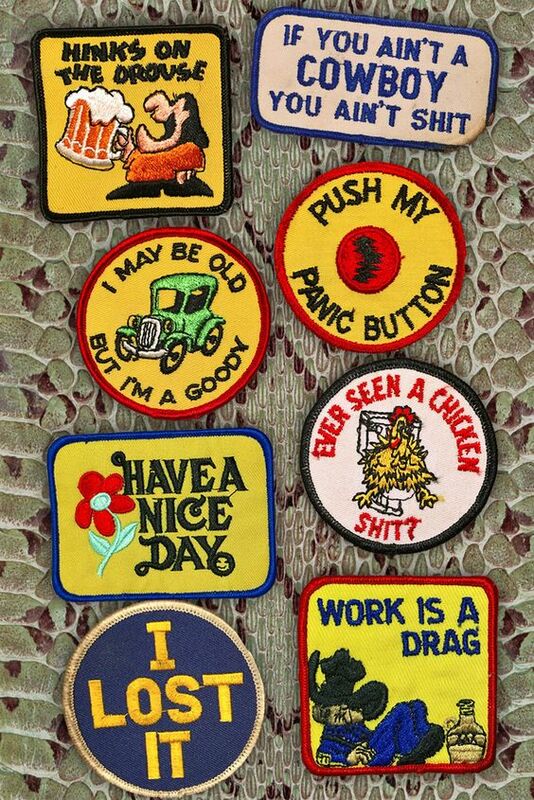 For all patches, get vintage if you can. Nothing looks works than fresh ink off the block. Rookie mistake! If you get a new patch or five, at least wash them or something. They look best worn in and beat up a little. For the girly denim jacket, I love old hippie designs and sayings from the 70s. Check out Backbite’s rad 70’s collection available online. For the denim vest, I love the extreme opposite. Cut off the sleeves of a vintage denim jacket and go to town with studs, pins, and patches. Maximalism looks amazing in small spaces. Paired with a tank top or tee, this is the equivalent of a girl with an upper back or full sleeve tattoo – coverable for work and for mom. Music Alert! Speaking of punk jacket.. what do you get when you mix Chairlift with The Juan MacLean? I start salivating when I search for punk jackets. Those go back to my college day roots when I was most likely found in the basement of a dive bar checking out some underground punk band with the boys. Bleached out hair, wallet chain, and all! 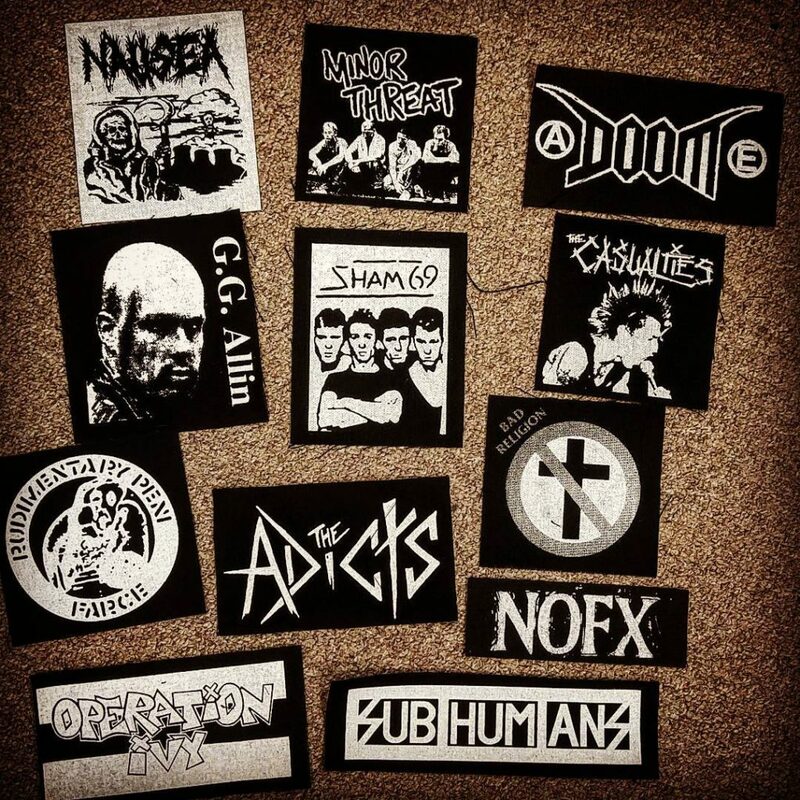 The best place to find legit back patches, cloth patches, embroidered/sewn patches, studs and spikes, and more is at Angry, Young, and Poor. “Selling everything PUNK since 1995”, they had me at hello. Whew! This is taking some restraint on my part. 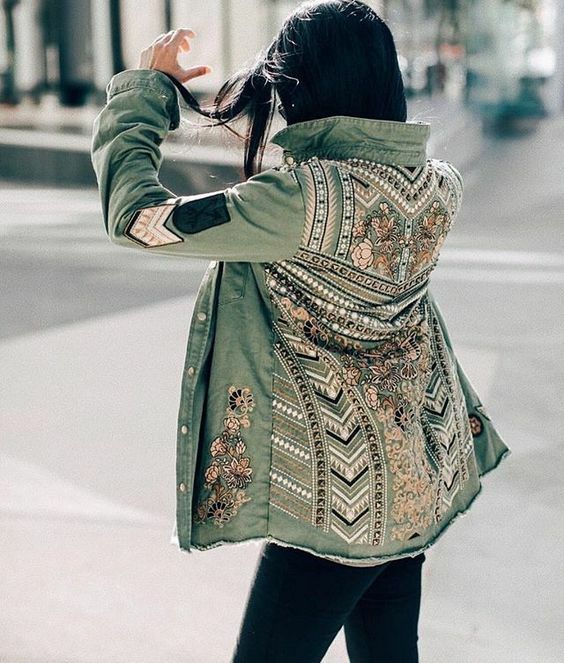 For the hippie chick, or any supporter of our armed forces, the green army jacket is an oldie, but goodie. 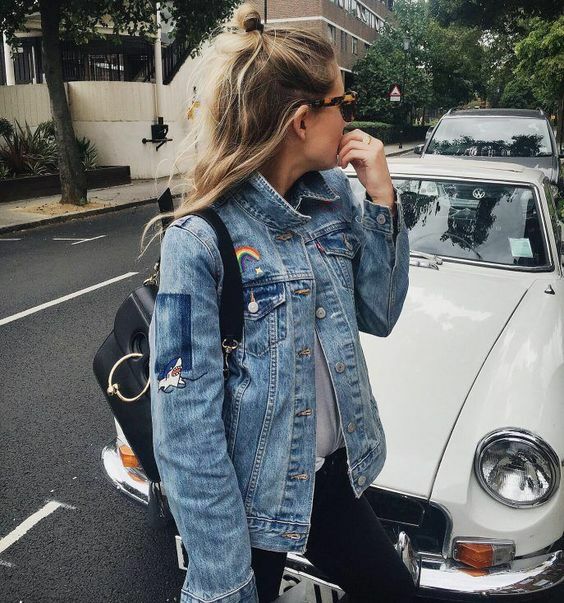 These jackets I also prefer in vintage form, but there are a lot of cute new styles available I like too. 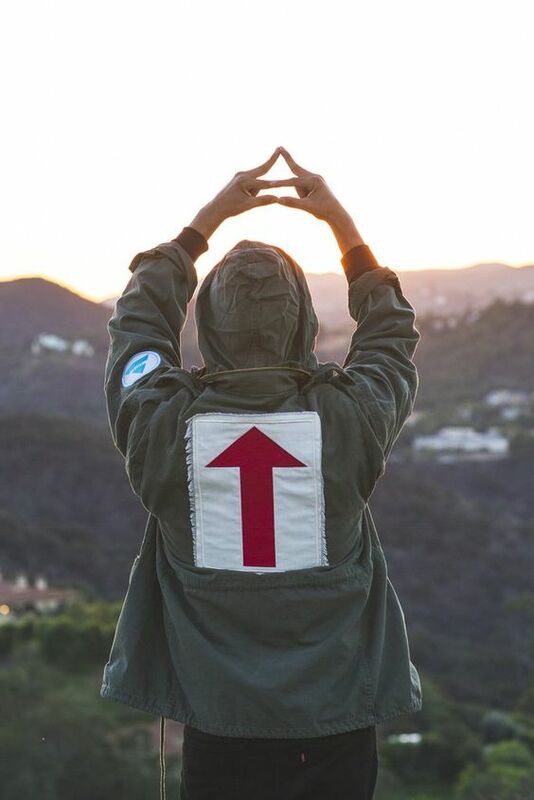 For the green army jacket, patches look best down the sleeve, above the pocket, or across the back. Keep them closer together and feel free to mix in embroidery and a few pins, too. 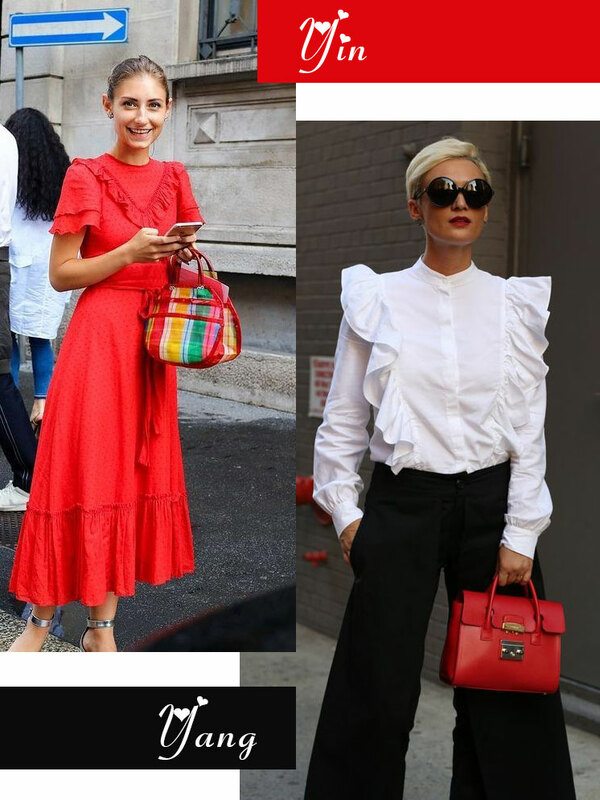 If you’re the kind of girl that would do a half-sleeve, lower back, or front-waist tattoo, then this is the best style for you. So pretty! Our friends at SaddleClub got the look dead on with their amazing Seabees War Horse Jacket. On a limited run, so get yours while you can! The best place to get your green gear is at an army surplus store near you. 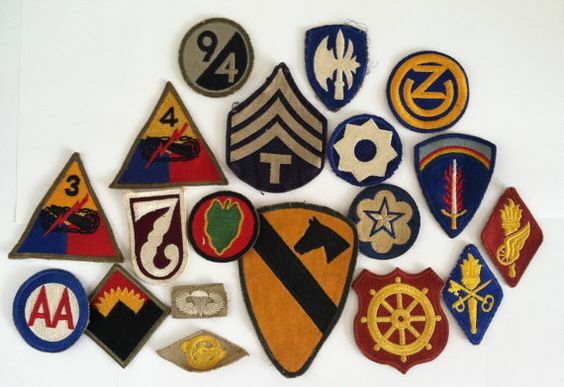 For you savvy online shoppers, VintagePatchesUS has over 130 different vintage military patches to choose from. Vintage! They are all in great condition and have that perfect, worn-in character. Get ’em on and then head on down to your local picket line. A close friend of the military jacket is the green camping jacket. A little more loosely structured and generally sporting a hood, the camping jacket also takes the less is more mantra. Camping jackets look great with back patches and a circle patch here or there just for fun. People with ankle tattoos, leg tattoos, and arm bands might like this style best. For the camping jacket, scour your local thrift shop for old Boy or Girl Scout uniforms. 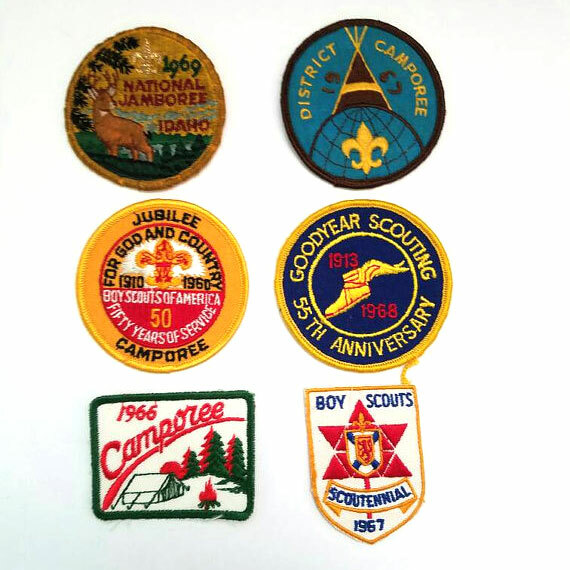 Merit badges, pins, and patches found on Scout uniforms are perfect for the outdoors vibe. Use troop numbers and council badges and place them in the same way you would find them on an actual uniform shirt. If one goes stray on a cuff or sleeve, we won’t tell. Here’s a cool set from the 60s offered by myvintagewhimsy via Etsy. Collector’s items for sure! Here’s one we haven’t seen much of lately – the Nascar jacket. King of the patches! Gas station patches, name patches, and anything automotive are perfect on bomber jackets. Place these across trucker hats and on the chest and shoulder areas of your jacket. Think Steve McQueen and do some racing stripes down the front. Perfect for an all-American girl who likes a good old-fashioned half-sleeve. Va-va-voom! 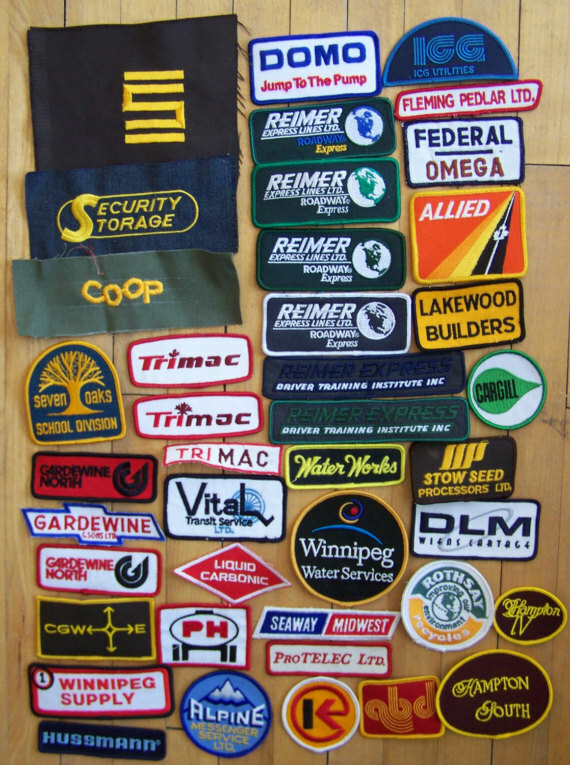 For these patches, simply go to your back woods thrift store and start scouring. Trucker hats, gas station attendant shirts, and mechanic gear are the prime targets for Nascar-esque patches. I found an Ebay store that sells a grab bag of 5 racing patches for $14.99. Alternatively, PicksByBear on Etsy has a cool collection of vintage trucker cap goodies that would work as well. Just stick with the theme and then rock it!